Pros on Call is a licensed business that specializes in a variety of lock services that benefit homeowners and companies in commercial districts. And when it comes to fresh lock installation projects, we’re the best there is. A standard lock installation involves replacing, repairing, or upgrading an existing door lock or handle and this is a pretty simple process because we always have the right tools and hardware available. Let’s say you just moved into a new home and you want to have a new lock installed on a door that does not have an existing lock. This is an example of a fresh lock installation. 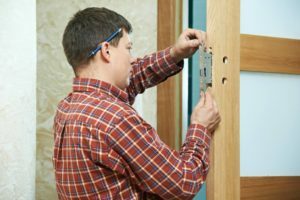 Typically, we do fresh lock installations for different styles of wooden doors. However, we are able to provide fresh lock installations on a wide variety of door types. The process will vary slightly depending on the door and lock types. Our complete range of lock services means that we can offer you fresh lock installations for just about any type of lock on the market including, mortise locks, cylinder locks, deadbolts, and we can even offer multiple options for keyless entry and biometric door locks. So go ahead and give us a call to learn more about our expert locksmith services or to request immediate assistance with a fresh lock installation. We are available 24/7 and guarantee upfront prices every time! We’re able to tackle all types of fresh lock projects quickly because our dedicated mobile locksmith crews use the latest tools and equipment for various service tasks. The process of working with us is simple, as we provide prompt services and upfront prices every time. By working with us, security won’t suffer in risky locations because we place various kinds of locks on different doors that are designed for specific spaces. Also, since we keep our vehicles fully stocked with locksmith tools and supplies, we’re able to provide new keys quickly after fresh lock changes have been implemented. If security is inefficient in certain locations, we can help because we have years of experience in the industry. When we offer valuable suggestions with your best interest as our top priority. And, we always consider a product’s security perks and financial benefits. If you’re like most people, you may be wondering what is the difference between a fresh lock change and a regular lock installation. When we install fresh lock this requires us to cut and drill in the door and the door frame. We do this using precise measurements and special tools needed for your specific door material. First, we measure and mark. Then, we cut holes for the lock and/or knob and drill a hole in the door edge for the lock faceplate. Next, install the faceplate and the bolt, making sure everything is aligned perfectly. After that, we install the lock and/or knob and install the strike plate. Finally, we provide you with new keys to match your new locks. And we can duplicate as many copies as you prefer. Just keep in mind that the more keys you have the more chances they will get lost or stolen. And we are able to work with the best lock brands in the business including Baldwin, Kwikset, BiLock, EVVA, Stanton Concepts, Scorpion, Interlogix, ASSA ABLOY, Falcon Locks, DIRAK, Marks USA, Medeco, McKinney Products Company, just to name a few. Because a fresh lock installation is much more complex than what you may find on YouTube DIY videos, your best bet is to go with one of our licensed professionals from the start. When you choose us, you can rest easy knowing that everything will be done correctly right from the start. And you won’t have to waste time and money to fix a botched job by an amateur. Because we’re licensed, bonded, and insured, we have high service standards. In order to successfully service locals in a professional manner, we always perform inspections so that proper estimates can be calculated before any locksmith procedures are implemented. If needed, we’ll provide our expert advice along the way because we’re dedicated to customer satisfaction. 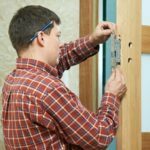 We install, troubleshoot, and repair locks that are designed for homes and businesses by using commercial-grade tools, and we thoroughly check all locks when projects are complete to ensure that hardware operates effectively and efficiently. And don’t forget, we guarantee 30 minutes or less response times when you request our emergency locksmith services. And, you can count on us 24/7! When fresh lock installation is needed, the dedicated locksmiths at Pros On Call can help. Contact us today and schedule an appointment for residential or commercial services. Fresh Lock Installation https://prosoncall.com/locksmith/residential/fresh-lock-installation/ 4.0/5 based upon 12 reviews.